In the early days of Sumeria and Akkadia the city-kings were priests and medicine-men rather than kings, and it was only when foreign conquerors sought to establish their hold in relation to existing institutions that the distinction of priest and king became definite. But the god of the priests remained as the real overlord of the land and of priest and king alike. He was the universal landlord; the wealth and authority of his temples and establishments outshone those of the king. Especially was this the case within the city walls. Hammurabi, the founder of the first Babylonian empire, is one of the earlier monarchs whom we find taking a firm grip upon the affairs of the community. He does it with the utmost politeness to the gods. In an inscription recording his irrigation work in Sumeria and Akkadia, he begins: “When Anu and Bel entrusted me with the rule of Sumer and Akkad—.” We possess a code of laws made by this same Hammurabi — it is the earliest known code of law — and at the head of this code we see the figure of Hammurabi receiving the law from its nominal promulgator, the god Shamash. An act of great political importance in the conquest of any city was the carrying off of its god to become a subordinate in the temple of its conqueror. This was far more important than the subjugation of king by king. Merodach, the Babylonian Jupiter, was carried off by the Elamites, and Babylon did not feel independent until its return. But sometimes a conqueror was afraid of the god he had conquered. In the collection of letters addressed to Amenophis III and IV at Tel-Amarna in Egypt, to which allusion has already been made, is one from a certain king, Tushratta, King of Mitanni, who has conquered Assyria, and taken the statue of the goddess Ishtar. Apparently he has sent this statue into Egypt, partly to acknowledge the overlordship, of Amenophis, but partly because he fears her anger. (Winckler.) In the Bible is related (Sam. i. v. 1) how the Ark of the Covenant of the God of the Hebrews was carried off by the Philistines, as a token of conquest, into the temple of the fish god, Dagon, at Ashdod, and how Dagon fell down and was broken, and how the people of Ashdod were smitten with disease. In the latter story particularly, the gods and priests fill the scene; there is no king in evidence at all. Right through the history of the Babylonian and Assyrian empires no monarch seems to have felt his tenure of power secure in Babylon until he had ?taken the hand of Bel? ?that is to say, that he had been adopted by the priesthood of ?Bel? as the god’s son and representative. As our knowledge of Assyrian and Babylonian history grows clearer, it becomes plainer that the politics of that world, the revolutions, usurpations, changes of dynasty, intrigues with foreign powers, turned largely upon issues between the great wealthy priesthoods and the growing but still inadequate power of the monarchy. The king relied on his army, and this was usually a mercenary army of foreigners, speedily mutinous if there was no pay or plunder, and easily bribed. We have already noted the name of Sennacherib, the son of Sargon II, among the monarchs of the Assyrian empire. Sennacherib was involved in a violent quarrel with the priesthood of Babylon; he never ?took the hand of Bel? ; and finally struck at that power by destroying altogether the holy part of the city of Babylon (691 B.C.) and removing the statue of Bel-Marduk to Assyria. He was assassinated by one of his sons, and his successor, Esar-haddon (his son, but not the son who was his assassin), found it expedient to restore Bel-Marduk and rebuild his temple, and make his peace with the god. Assurbanipal (Greek, Sardanapalus), the son of this Esar-haddon, is a particularly interesting figure from this point of view of the relationship of priesthood and king. His father’s reconciliation with the priests of Bel- Marduk went so far that Sardanapalus was given a Babylonian instead of a military Assyrian education. He became a great collector of the clay documents of the past, and his library, which has been unearthed, is now the most precious source of historical material in the world. But for all his learning he kept his grip on the Assyrian army; he made a temporary conquest of Egypt, suppressed a rebellion in Babylon, and carried out a number of successful expeditions. As we have already told in Chapter 14, he was almost the last of the Assyrian monarchs. The Aryan tribes, who knew more of war than of priestcraft, and particularly the Scythians, the Medes and Persians, had long been pressing upon Assyria, from the north and north-east. The Medes and Persians formed an alliance with the nomadic Semitic Chaldeans of the south for the joint undoing of Assyria. Nineveh, the Assyrian capital, fell to these Aryans in 606 B.C. 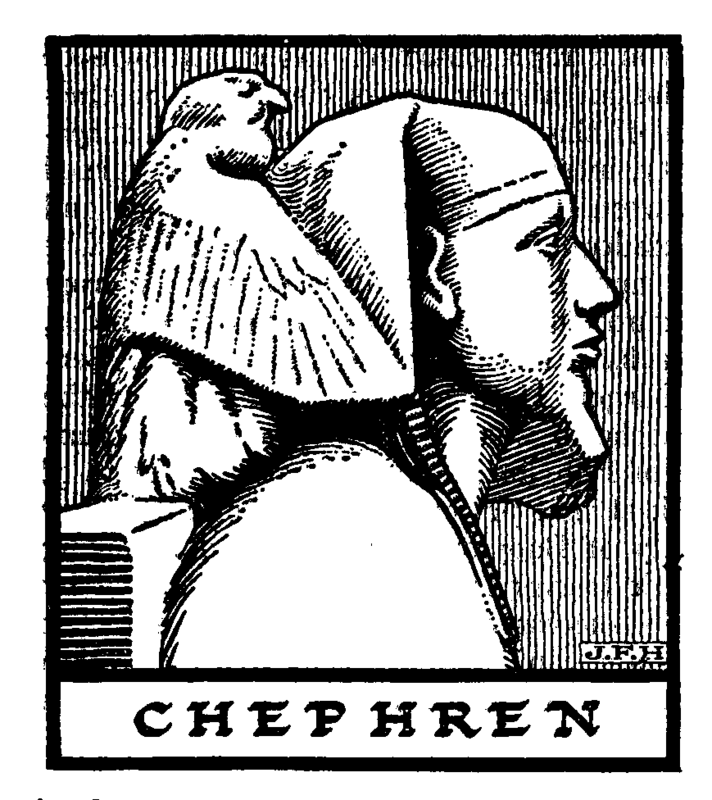 Sixty-seven years after the taking of Nineveh by the Aryans, which left Babylonia to the Semitic Chaldeans, the last monarch of the Chaldean Empire (the Second Babylonian Empire), Nabonidus, the father of Belshazzar, was overthrown by Cyrus, the Persian. This Nabonidus, again, was a highly educated monarch, who brought far too much intelligence and imagination and not enough of the short-range wisdom of this world to affairs of state. He conducted antiquarian researches, and to his researches it is that we owe the date of 3,750 B.C., assigned to Sargon I and still accepted by many authorities. He was proud of this determination, and left inscriptions to record it. It is clear he was a religious innovator; he built and rearranged temples and attempted to centralize religion in Babylon by bringing a number of local gods to the temple of Bel-Marduk. No doubt he realized the weakness and disunion of his empire due to these conflicting cults, and had some conception of unification in his mind. Events were marching too rapidly for any such development. His innovation had manifestly raised the suspicion and hostility of the priesthood of Bel. They sided with the Persians. “The soldiers of Cyrus entered Babylon without fighting”“. Nabonidus was taken prisoner, and Persian sentinels were set at the gates of the temple of Bel, “where the services continued without intermission”. Cyrus did, in fact, set up the Persian Empire in Babylon with the blessing of Bel-Marduk. He gratified the conservative instincts of the priests by packing off the local gods back to their ancestral temples. He also restored the Jews to Jerusalem. These were merely matters of immediate policy to him. But in bringing in the irreligious Aryans, the ancient Priesthood was paying too highly for the continuation of its temple services. It would have been wiser to have dealt with the innovations of Nabonidus, that earnest heretic, to have listened to his ideas, and to have met the needs of a changing world. Cyrus entered Babylon 539 B.C. ; by 521 B.C. Babylon was in insurrection again, and in 520 B.C. another Persian monarch, Darius, was pulling down her walls. Within two hundred years the life had altogether gone out of those venerable rituals of Bel-Marduk, and the temple of Bel-Marduk was being used by builders as a quarry. See the last two verses of the Second Book of Chronicles, and Ezra, ch. i.